Queenslanders like to joke that everything is bigger and better in their home state, but when it comes to fish it’s actually true. 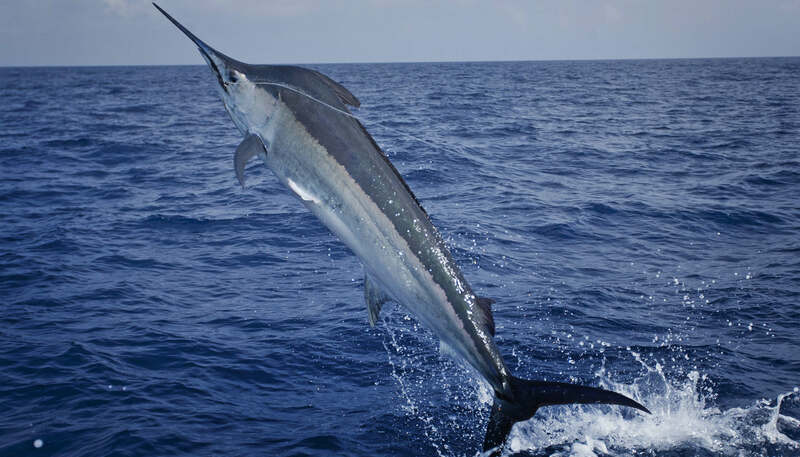 Tropical North Queensland is the giant black marlin capital of the world and thousands of anglers flock here every year to try their luck reeling in one of these super-sized fish, which routinely weigh in at almost 500kg. There are more “granders” – fish over 1000 pounds – caught (and released) in the waters between Cairns and Lizard Island from September to December each year than any other part of the world. The first grander was caught in 1966 by former American paratrooper Captain George Bransford. It didn’t take long before word spread, and the fishing grounds soon attracted celebrities such as late Hollywood movie star Lee Marvin, author Wilbur Smith, media mogul Rupert Murdoch, former US president Jimmy Carter, and golfers Greg Norman and Jack Nicklaus, all eager to land a big one. Of course you don’t have to rich and famous to hook a marlin – you can join several game-fishing charters that know where to go and have all the right gear. And if you have no luck, you can always head down to Cairns Waterfront and check out the life-size sculpture of Captain Bransford’s 5.8m-high fish. Get the latest information on offers & upcoming attractions via our weekly newsletter. © 2019 Tourism Tropical North Queensland - Is a not for profit organisation and the official Regional Tourism Organisation (RTO) of Cairns and Great Barrier Reef, extending from Cardwell to the tip of the Torres Strait Islands and out to the Northern Territory border. TTNQ acknowledges the custodianship of the Great Barrier Reef & Wet Tropics by Aboriginal and Torres Strait Islander Traditional Owners whose rich cultures, heritage values, enduring connections and shared efforts protect our natural assets for future generations.